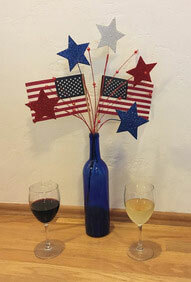 Curds and Wine will be CLOSED Sunday July 1st through Wednesday July 4th. Have a safe and happy Independence Day! 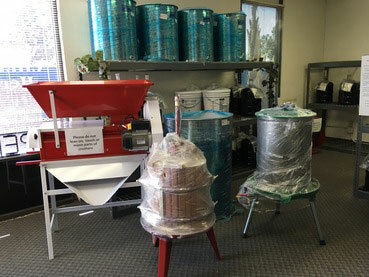 We have a very limited selection of large equipment for sale, including manual or motorized crusher/destemmers and stands (sold separately), basket or bladder presses, and stainless steel tanks - including larger 300 liter and 400 liter tanks, new this year. We also have a few 3-spout and 5-spout gravity bottle fillers. Now in stock at Curds and Wine - Enolmatic Inline Filter Housing allows you to filter and bottle simultaneously! Reusable filter cartridges are available in 0.5 micron, 1 micron, or 5 micron sizes. WineMaker magazine is the leading publication for the winemaking hobby reaching over 100,000 readers each issue. Launched in 1998, WineMaker covers the full gamut of the winemaking hobby, from beginners to experts, from wine kits to fresh grapes, and is published bi-monthly. Every issue includes expert advice and techniques, award-winning recipes and how-to projects to help you make great wine. Regular columns include troubleshooting common problems with the Wine Wizard, learning special techniques and tips on making a specific style of wine in Varietal Focus, refining your winemaking with Techniques, growing your own grapes in Backyard Vines and hearing tips, and stories and recipes from fellow home winemakers in Cellar Dwellers. WineMaker gives you practical, well-researched information in a fun format for all hobby winemakers - whether you use kits, concentrates, juices, non-grape fruits or fresh grapes. The magazine is available in both print and digital editions. 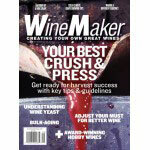 Get 6 issues per year of Winemaker Magazine for $26.99. Through this link, you get a free trial issue, then you can continue your subscription for 5 more issues and save 25% off the annual newsstand rate, or simply write "cancel" on the invoice and return it. You will owe nothing and the trial issue is yours to keep!